HOUSTON (KTRK) -- A report of shots fired at a southwest Houston apartment complex this morning has led to the arrest of three suspects and the recovery of several guns, including an AK-47, according to police. 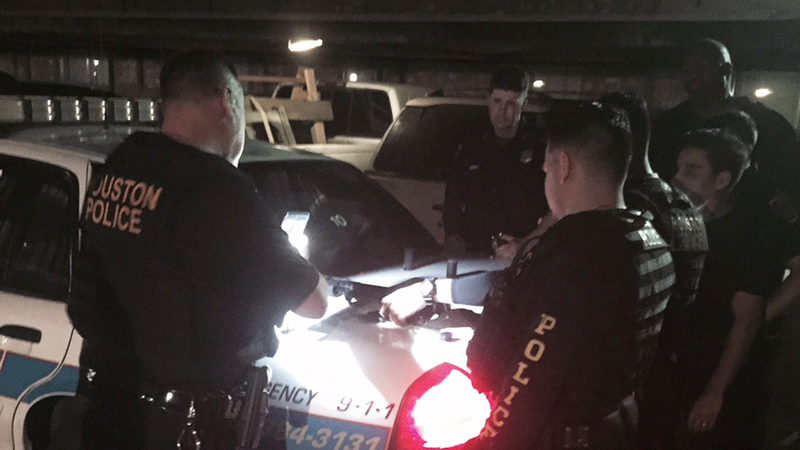 An HPD tactical unit arrested three people in the 6500 block of Hillcroft around 3am. Police say during a search of the suspects' vehicle, officers found several guns, and a stolen cell phone. The suspects are facing charges of felony possession of a firearm and evading arrest. They could face other charges.